17.16mm x 18.67mm / 0.676in. x 0.735in. 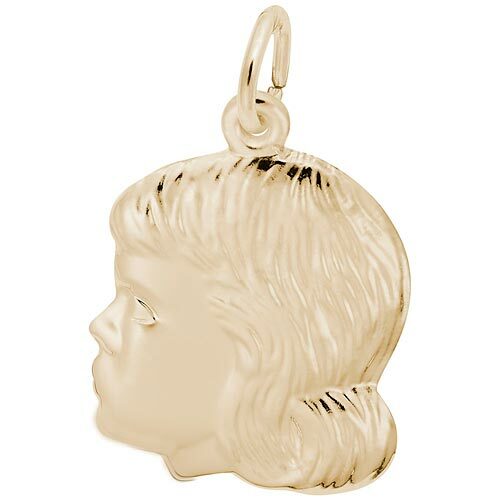 Young Girl's Head Charm by Rembrandt Charms. The height is 3/4 of an inch. Devote this Young Girl's Head Charm to your daughter and show her how much you care with your own family collection. The back can be engraved.